If there is one director Sadhana worked with extensively, it was Raj Khosla. The two teamed up for four films – Ek Musafir Ek Hasina (1962) and Khosla’s unforgettable mystery trilogy with the actress – Woh Kaun Thi? 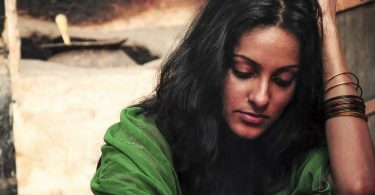 (1964), Mera Saaya (1966) and Anita (1967). Few know that sometime in the 1960s, there was a fifth film the director-actress were working on, Sajan Ki Galiyan. 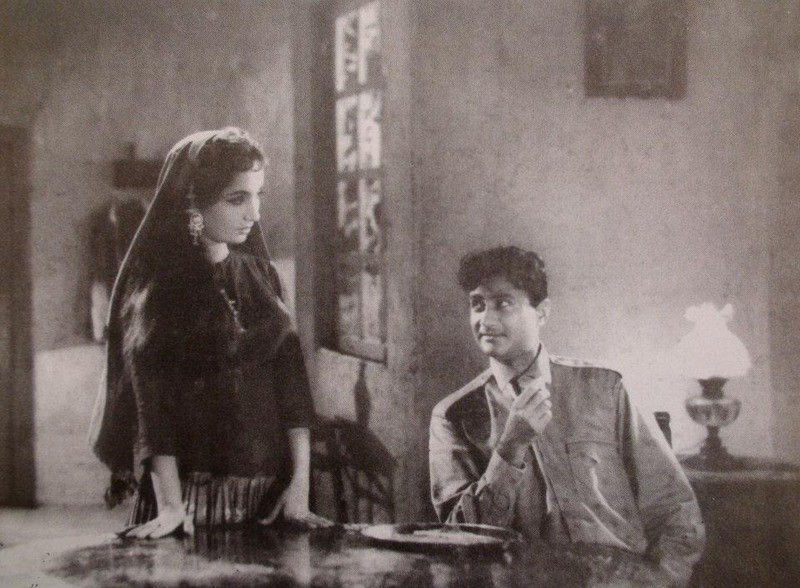 Produced by cinematographer Fali Mistry (Guide, Hare Rama Hare Krishna), the film starred Sadhana with Dev Anand in what would have been their third film together – the first in color – following Hum Dono (1961) and Asli Naqli (1962). 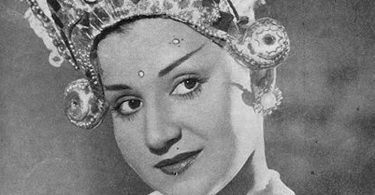 The film, besides Sadhana and Dev Saab, was to be the launchpad of Zaheeda, Nargis’ niece. In an interview, Zaheeda recalls that her aunt was dead against her working in films but reluctantly agreed when Zaheeda herself requested her that she wanted to give acting a go to see what it was all about. And so, Zaheeda was cast in a key role of a princess in Sajan Ki Galiyan. Though Zaheeda’s father was hesitant as to how much of an impact his daughter would make with Sadhana already in the film as its main heroine, Zaheeda assured him that if she were to make it as an actress, she would anyway. The music of Sajan Ki Galiyan was being composed by Shankar-Jaikishan. Fortunately (or unfortunately as one rues what might have been), two songs from the film can now be viewed on YouTube. One is the deliciously romantic Mohammed Rafi solo, Humne Jinke Khwab Sajaye, a signature S-J composition written by Hasrat Jaipuri. The other clip is a short scene and a song featuring Dev Saab, Sadhana and Zaheeda – Hum Khoob Jaante Hain Kya Dil Mein Hai Tumhare, sung by Mohammed Rafi, Suman Kalyanpur and Geeta Dutt. These clips are featured in Film Hi Film (1983), which wove scenes from incomplete films into the story line of an old-time filmmaker (Pran) training newcomers for a film he is making in a bid to recapture his long lost glory. Pran coaches them for the intended movie by showing them various scenes from unfinished films. Hence, the clip below has a little insert of the ‘actors to be’ watching the film in between the scene and the song. 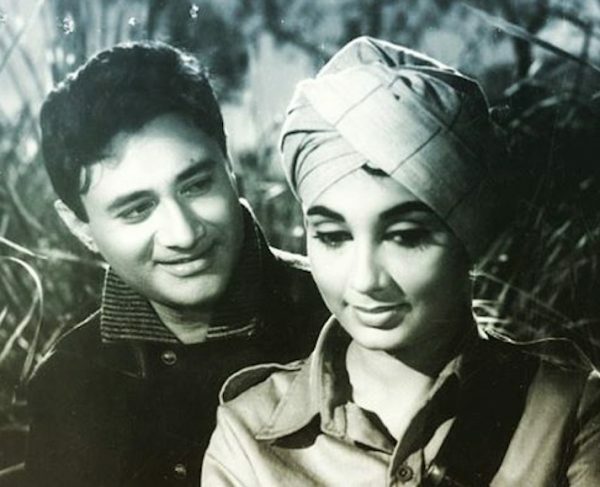 Interestingly, while Sadhana would never team up with Dev Anand again, Zaheeda would go on to work with him in two films, Prem Pujari (1970) and Gambler (1971). Dev Anand Fali Mistry Film Hi Film Geeta Dutt Incomplete films Mohammed Rafi Pran Raj Khosla Sadhana Sajan Ki Galiyan Shankar-Jaikishan Suman Kalyanpur Woh Kaun Thi?